American Queen Steamboat Company is sprucing up and updating its 432-passenger paddlewheeler, the American Queen, during the off-season at the Boland Marine Shipyards in New Orleans. The vessel will resume cruising on Feb. 21 as it begins its third season under its current ownership. The annual layup includes the renovation of the steam plant as well as engineering and cosmetic enhancements. New paint and coating systems are being incorporated to improve the vessel’s appearance. A major rehabilitation of the decks is under way. 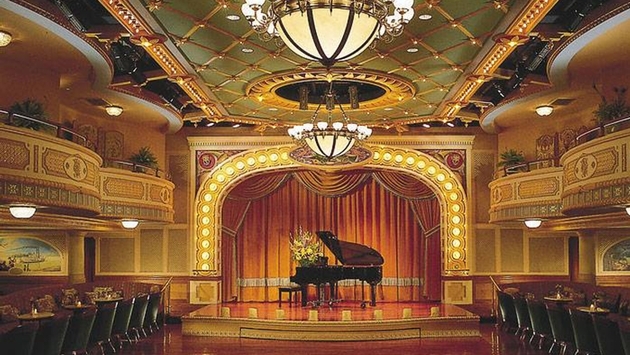 The Grand Saloon will host new shows that will be performed with new sound and lighting systems. Guests also will get new in-house programming on their cabin TVs, thanks to a new digital content management system. Significant electrical upgrades include the renewal of the main switchboard and associated systems. In the galley, new steam powered “combi-ovens” will add capacity and let the culinary team expand onboard pastry and dessert offerings. Additionally, a state-of-the-art combustion control system will save fuel, reduce emissions and exert less stress on the vessel’s steam plant while making the vessel more environmentally friendly, the company said. Fares on the American Queen begin at $1,049 per person, based on double occupancy, and include a one-night pre-voyage hotel stay, shore tours in all ports and complimentary wine and beer with dinner.